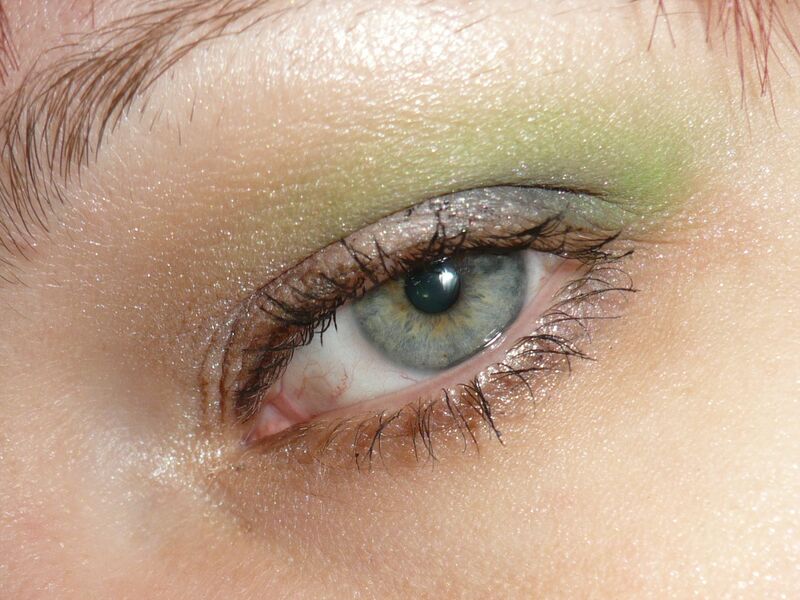 Eyes: MAC paint in Untitled on lid with Fyrinnae’s Pixie Eopxy over. 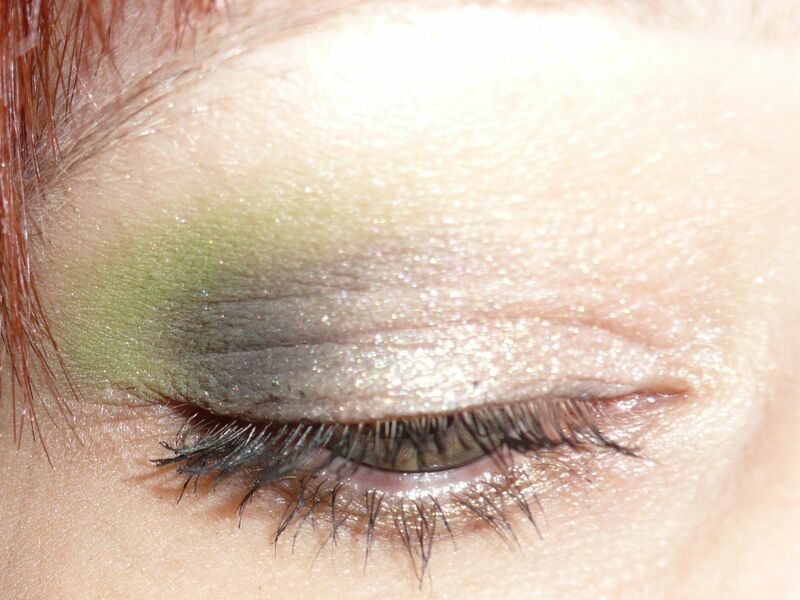 Stardust Goddess Green blended in outer V and up above crease a bit. Meow’s Four Horsemen in Pestilence on outer lid and blended just a bit into crease and also outer of the lower lash line. Meow’s X: Mothman blended onto rest of lid and onto the middle of the lower lash line. Silk Naturals Cutie Pie shadow blended onto upper eye into brow. 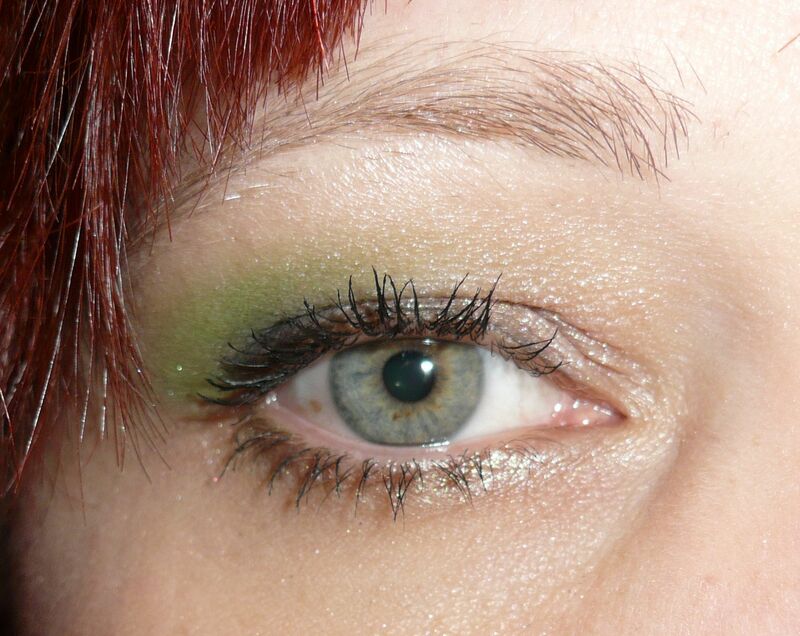 Silk Naturals Sprite applied just under brow and to inner corners of eyes. No liner, one coat of Super Thick Lash mascara in black.